Ambience 3D wall tiles can act as an acoustic piece of artwork in any space and can be used in both ceiling and wall applications. Ambience by Himmel is the latest addition to the CSR Himmel product portfolio. 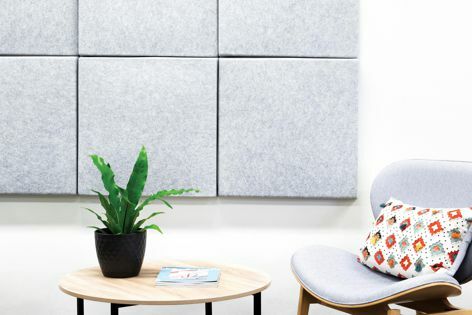 A decorative acoustic collection featuring 16 beautiful colours reminiscent of Australian flora and fauna, this product range includes six different products: flat ceiling tiles, acoustic wall panels, clouds, baffles, 3D wall and ceiling tiles, and self-adhesive pinboards.